Sticky Situation: Stuart says bye bye to Eels, hello Raiders. Jake Hauritz and Warrick Nicolson team up again to discuss the falling out from Stuart leaving Parramatta, how he could've made this decision 12 months ago, how he did Parra one big favour during his stay and who will the Eels consider as their new coach? Always good to have Jakey Jake on the show - let us know if you enjoy his appearances and we'll see if we can't give you more of what you want through September. So you get 20 minutes of NTFS goodness... we're getting the hang of this short show thing now. Thanks for listening - now please rate us on iTunes and tell people about the show! 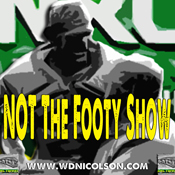 Send us a Tweet via @NRLTweet or post on the Facebook page - www.facebook.com/nrlpodcast if it's good to have us back? We hope you like the new approach and please give us some feedback or maybe even a plug if we earn it. 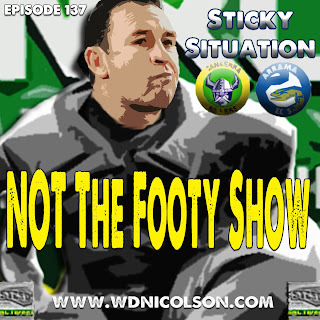 LIKE the show on Facebook to discuss the upcoming month of NOT The Footy Show or catch us on Twitter: @NRLTweet or our individual accounts @wdnicolson @Mr_DC11 @mtsialis @mrpeninsula @horry37 and Nic McInerney is now our Facebook Mozart.